Apply for Health Insurance for Long Stay Visa. The listed companies who participate in this scheme. Pacific Cross International Limited has specialized in health insurance in Asia for over 45 years. It owns several reputable health insurance companies of the past and present (Blue Cross Insurance Incorporation in Philippines, Blue Cross Thailand and Hongkong). Pacific Cross Health Insurance PCL is part of the Pacific Cross Group, the leading travel and medical insurance specialist in Asia. 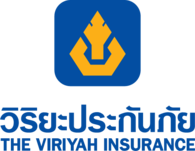 For over 84 years, The Navakij Insurance Public Company Limited is professional Thai non-life insurance company. There are 28 service offices located nationwide. 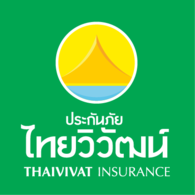 With 66 years experience and supported by leading global reinsurers, Thaivivat Insurance Pcl. developed this Health product especially for the long-term visitor to Thailand. Serviced around the clock by our multilingual claims and assistance center. Because your Health is our Priority. The Viriyah Insurance (Public) Company Limited is Thailand’s number one non-life insurance company that has maintained the leadership in the industry over a long period of time. The company is recognized for its extensive experiences of service quality, worthwhile protection, and transparency. Health insurance is one of our prides that we provide a range of cover to suit your needs and provide you the standard of health claims service that delivers the protection and cares when you need it most. With over 160 years' experience serving 190 countries, we now serve over 300,000 members in Thailand and more than 2,000 organizations through our nationwide branches and our network of over 400 hospital. This's TGIA website. It's being provided as a convenience and for information purposes only. TGIA bears no responsibility for the accuracy, legality or content of the external site or for that of subsequent links. Contact the external site for answers to questions regarding its content. © 2019 - Thai General Insurance Association. All rights reserved.